Yes, it might be cold outside so why not stop by for a warmhearted visit. You will be glad you did. Welcome to the website of Lapeer Christian Church, a church where visitors and families are always welcome. If you are looking for a church home, we would love for you to be a part of our church family. The Lapeer Christian Church and its members are a warm caring fellowship. We welcome you to attend and participate in the activities of our church without necessarily becoming a member. 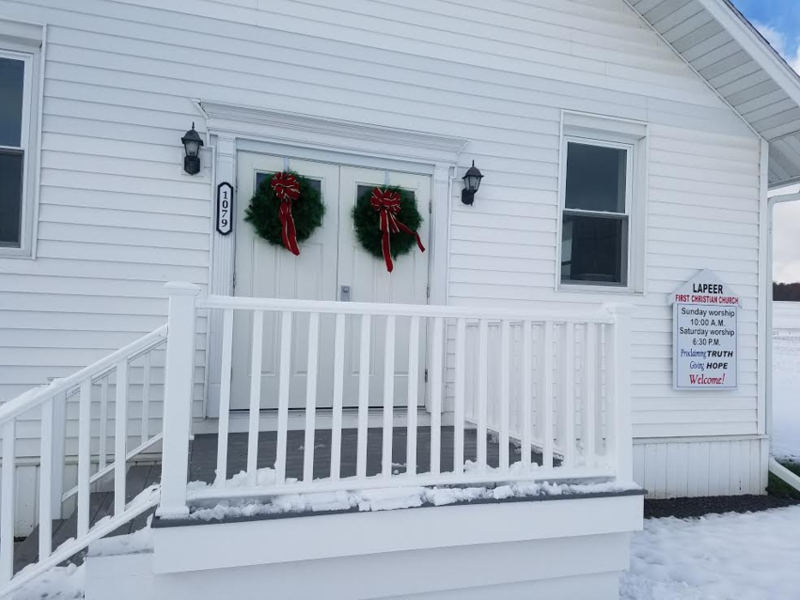 However, becoming a member of the Lapeer Christian Church is a public acknowledgment of where you choose to worship, serve in ministry, and give according to the Word of God.